A 60 minute stationary bike ride followed by 10-15 minutes of upper body and core strengthening. Included in the bike ride is a warm up period and cool down. 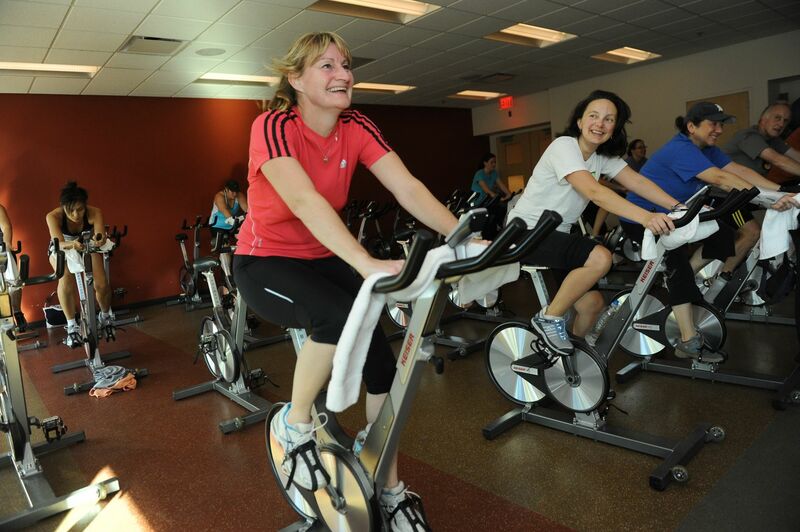 The ride portion of the class strives to simulate outdoor bike riding including flat roads, head winds, climbs, sprints and moderately paced portions. Each ride is thoughtfully synchronized to music to add fun, help keep the pace and add energy. Periodic ride “themes” add to the fun. Any level of experience is welcome. Each class is easily tailored to fit each participant’s fitness level.